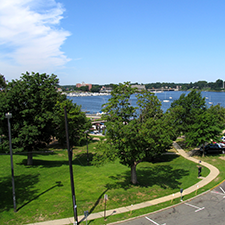 Truly an eye on the Navesink, this beautiful 2- acre park has won several design awards since its completion in August 2000. 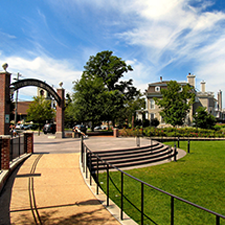 It features a sensory garden, boardwalk, concession building, and a stage area that hosts free performances in season. In winter, the arched entry frames a lighted iceboat, one of Red Bank’s symbols. Truly a delightful urban oasis for a stroll, a picnic, or to catch a show, the park is fully accessible for those in wheelchairs. The Jazz in the Park series on summer Thursday nights is especially popular.